It was to receive the miracles, then the people of God had come to KPPI (Praise and Divine Healing Service). This service was held on Thursday, March 22, 2018, at the Auditorium of the Adventist Building, Jl. MT Haryono, Kav 4-5, Tebet, Pancoran, South Jakarta. The live streaming program of this service had begun on 6.00 pm. The journey of this service from 1993 to 2018 was shared first through a short film that covered the compilations of the scenes captured from KPPIand a few healing testimony films. Rev. Hanung Prasetyo led the congregations to praise and worship the Lord with joyful and happy heart. 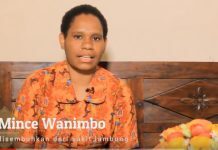 A healing testimony film was aired, about a woman, Helli Sinurat, who was from Bengkulu. She got healed from stroke when she was watching the live streaming program of KPPI in her neighbour’s home. God touched her and she was healed miraculously. Rev. Michico Sihite then led the congregations to read the verse in the Bible, Matthew 4 : 23-24. If Lord Jesus was present, anyone who came in a terrible condition would get healed by the Lord. If the Spirit of the Lord is in the midst of His people, God will do something great for His people. Another healing testimony film was aired. It was about Edward Gultom who was healed from Hepatitis A.
Rev. Judah Pakasi stepped forward and said that everyone who was present was at the right place and the right time to meet Lord Jesus. The Word of God was shared from Luke 5 :17-26 about a paralyzed man who brought down right in front of Jesus by taking off some tiles from the roof. The power of God was with Jesus to heal so many people. Jesus is still the same, yesterday, today and forever. It was just like the paralyzed man and the others who had come at the right place and at the right time, all the people who had come at the service were also the same. It seemed to be no hope for the paralyzed man. And there was not enough strength. But when he heard about the presence of Jesus, they tried to meet Him with full of hope. “Let us come to Lord Jesus,” said Rev. Judah Pakasi. They who desired to meet Lord Jesus surely were not ordinary men, they had faith that Lord Jesus could do something for their life. The had faith that Jesus is not an ordinary Person. And when Jesus saw their faith, He saw that they were not ordinary people, they had faith. Their faith had made them become creative and had the courage to take an action to go up on the roof and took off the tiles. There is nothing can stop the steps of the believers and they will surely get miracles and their sins will be forgiven. It is true, nothing is impossible with God, and also for everyone who had come that night. Faith won’t give up. Faith will see the problems not as they are, because everything will be done by faith. “Stop questioning God! Stop and repent! Trust in the Lord, “ said Rev. Judah Pakasi as he gave an altar call to the congregations to believe and invite Jesus to enter into their hearts to become their Lord and Saviour. The sermon was continued by Rev. Joseph Batubara about divine healing. Lord Jesus always take into account of our faith. And how to have faith? Faith is not what we think, but faith is the basic of everything that we believe. Another important thing is taking action of our faith, because faith without action is dead. Faith had made a woman with 12 years hemorrhage got healed when she touched the hem of Lord Jesus’ robe. Faith had caused the leper in the crowd tried to reach Lord Jesus and he was healed. We have God who has an unbounded heart. Rev Joseph Batubara called every sick person to step forward to be prayed. He led the healing prayer with Rev. Belinda Kosasih and Rev. Manasye Vinca. God worked and healing miracles took place. They who were confirmed healed by the medical team testify their healing miracles that were shared by Rev. Yakobus Febri Narotama, Rev. Jefri Siringo-ringo, and Rev. Patrik Christian.They who testified were healed from gastritis for 2 years, asthma for 5 years, blurry eyes for 6 months, osteoporosis on the feet, osteoporosis on the hips, gout, diabetic for 27 years, migraine, stomach ache, headache, and many more. ‘Dr. Lamrenta also shared the healing miracle that happened to a young woman who had three times attending KPPI and just could lie down caused by intestinal TB and unable to walk got a miracle. That night she already could walk. After that, Rev. Gideon Budiwibowo gave a call to anybody who is willing to give his life to serve the Lord to step forward and pray together. The presence of God had helped many people who came that night receive deliverance, salvation, and healing. The service was closed with a message that everyone should return back to their local church to be a blessing there. KPPI (Praise and Divine Healing Service) had been held since 1993. It is an interdenominational ministry held by GPPI Pondok Daud Jakarta.